Here's a map of the area. 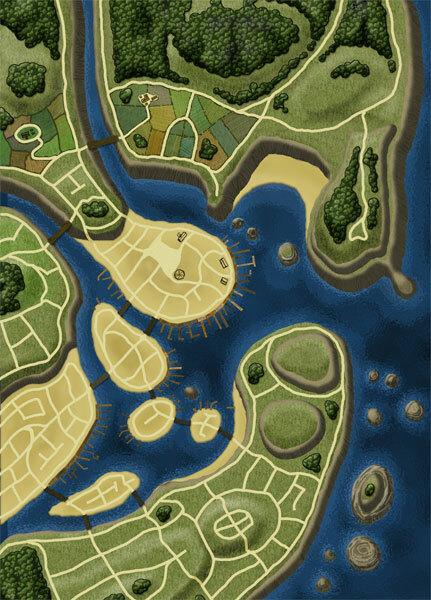 I used to use Campaign Cartographer and struggled with its CAD based interface for a number of years. I also struggled with getting a more polished look out of it. I toyed with some of the other mapping software available. Then I started playing around with what could be done in illustrator. Finally I moved onto photoshop. Initially inspired by Christopher West's realistic style I spent ages doing some very intricate maps similar to Mr West's. 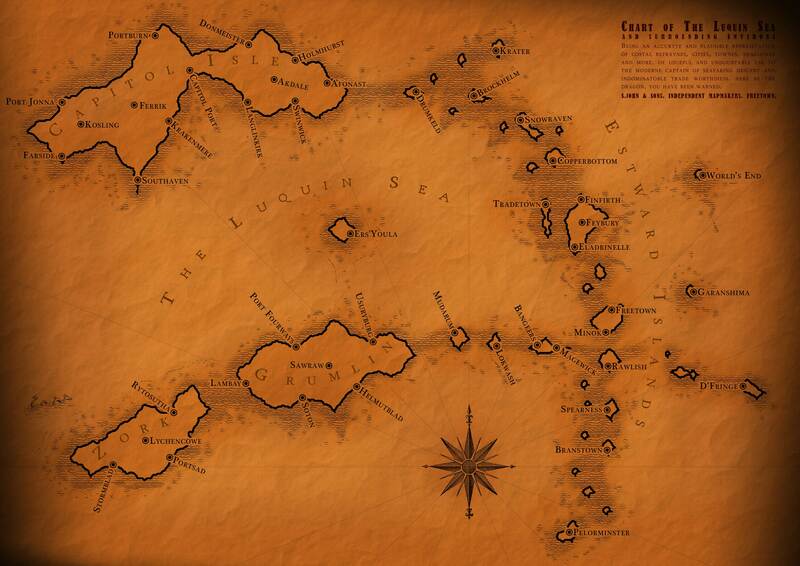 Such as this unfinished map of Port Jonna. A port that crops up in more than one of my campaign worlds. This Chris West style is very labour intensive, at least the way I was doing it. Mostly all drawn by hand with a WACOM stylus! For this campaign I wanted a more weathered feel and liked the look of S.John Ross's stuff for Uresia. http://www.io.com/~sjohn/uresia-intro.htm. I picked up some tips from a youtube series of Photoshop cartography vids. A good thing to examine if interested in using Photoshop for mapping.